The dance starts with a small prayer. 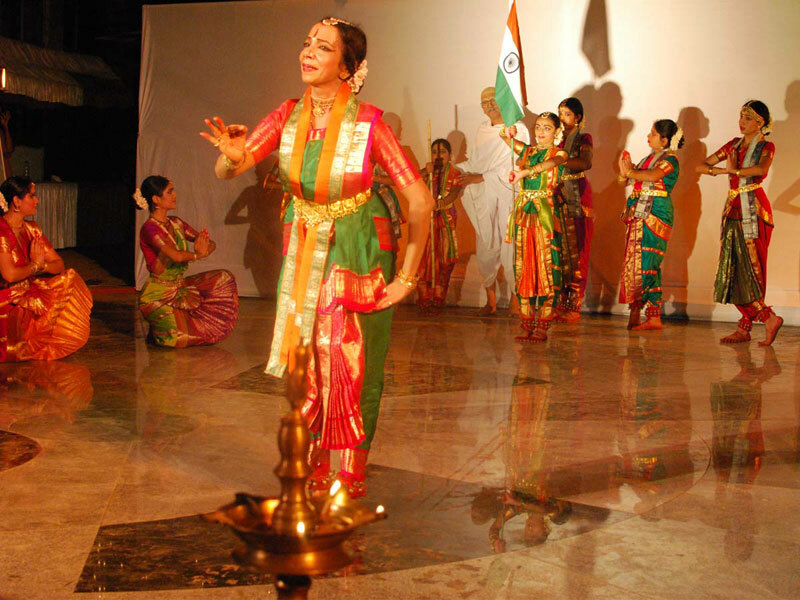 Bharatanatyam used to be and is still mostly performed by women dancers. A performer needs to elegantly maintain balance throughout the performance. 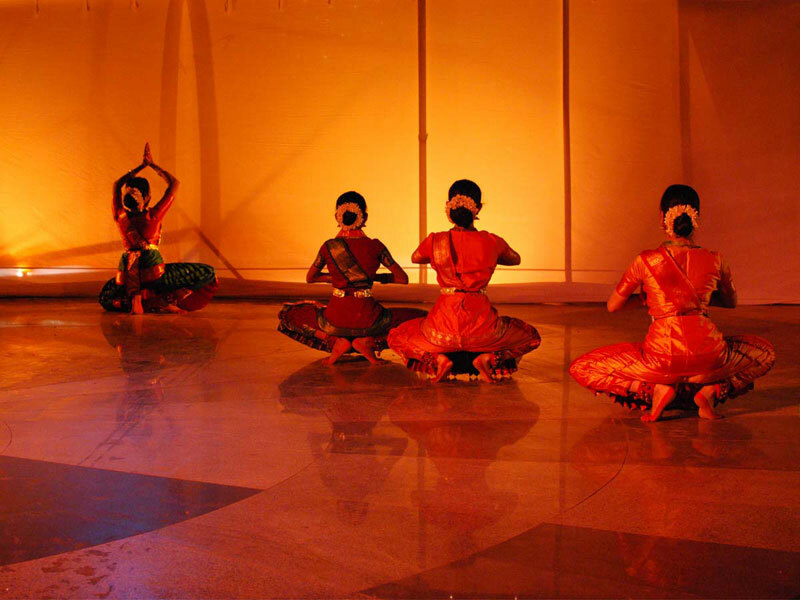 Bharatanatyam uses pure dance movements, as a medium of visual depiction of rhythms called Nritta. 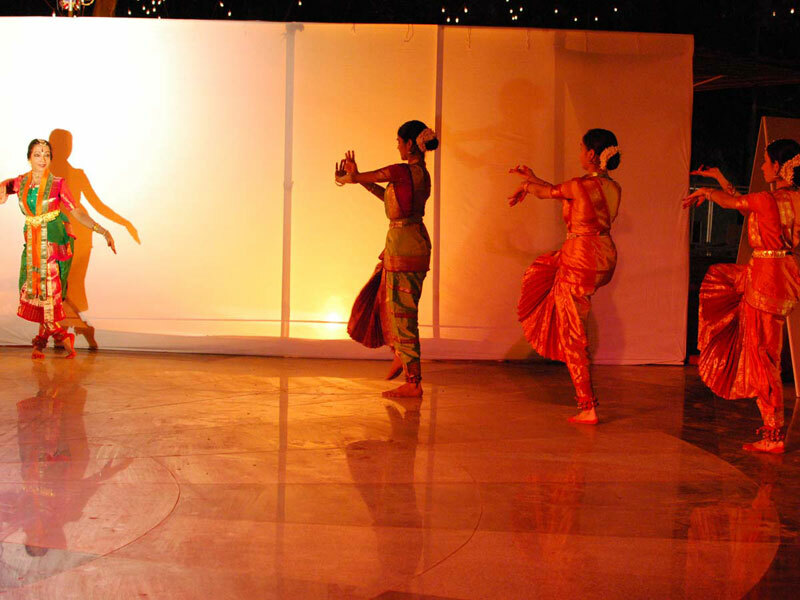 Bharatanatyam technique includes many other elements, such as elaborate neck and eye movements. 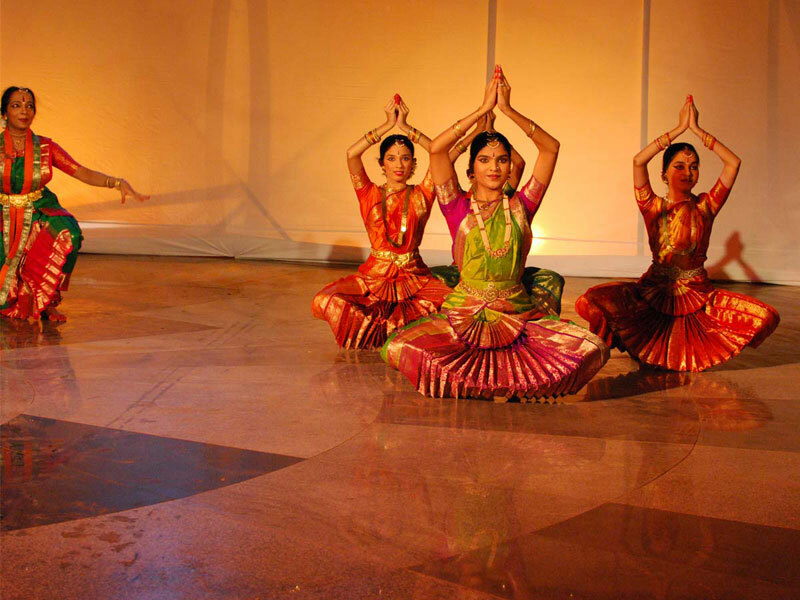 Nritya (dance) is a combination of abhinaya and nritta. In this dance form hand gestures and facial expressions are used to communicate and express feelings. The dancer wears a lot of ornaments of shining stones, jasmin garland in the hair and foot trinklet. 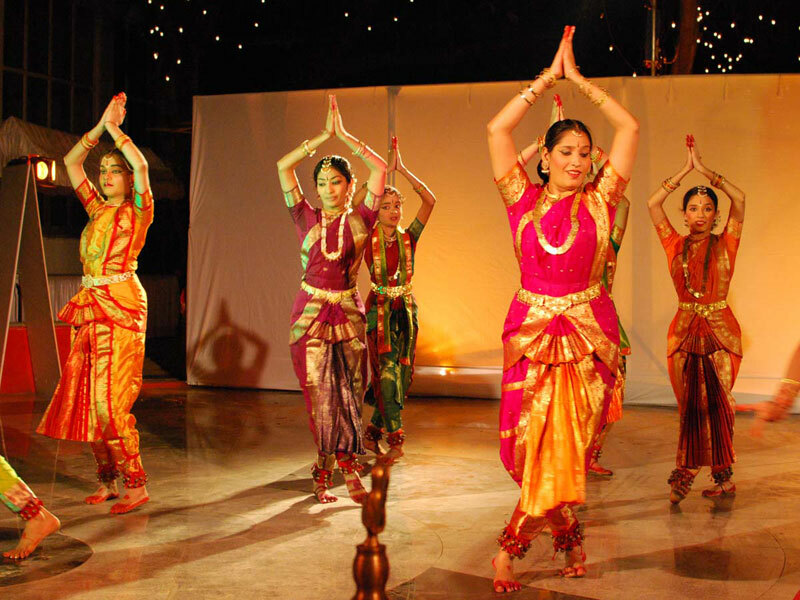 Bharatanatyam dancers wear a unique set of jewellry known as \"Temple Jewellry\" during the performance. 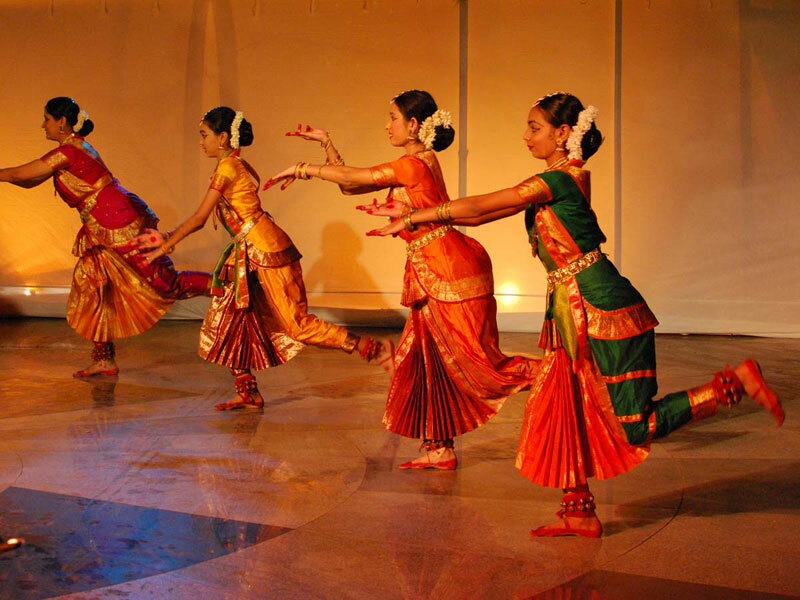 The postures of the Bharatanatyam dance of India have served as an inspiration for the ancient sculptures in Hindu temples. 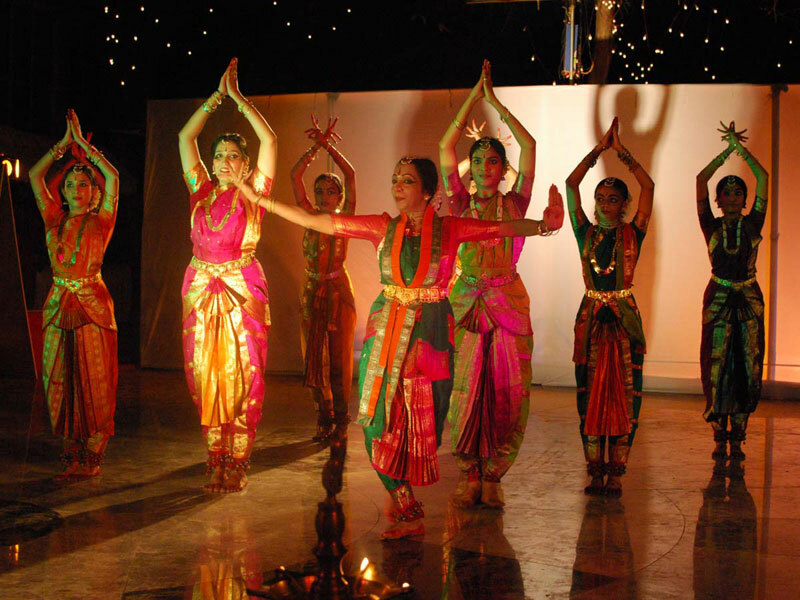 There is a dramatic art of story-telling in Bharatanatyam called Abhinaya or Natya. 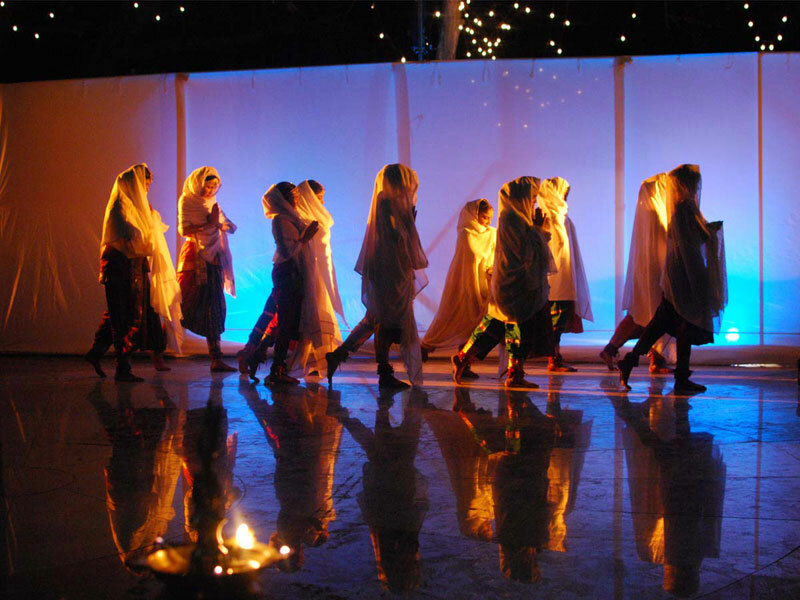 The dance enhances its emotive appeal by using the literary compositions of saints and sages. 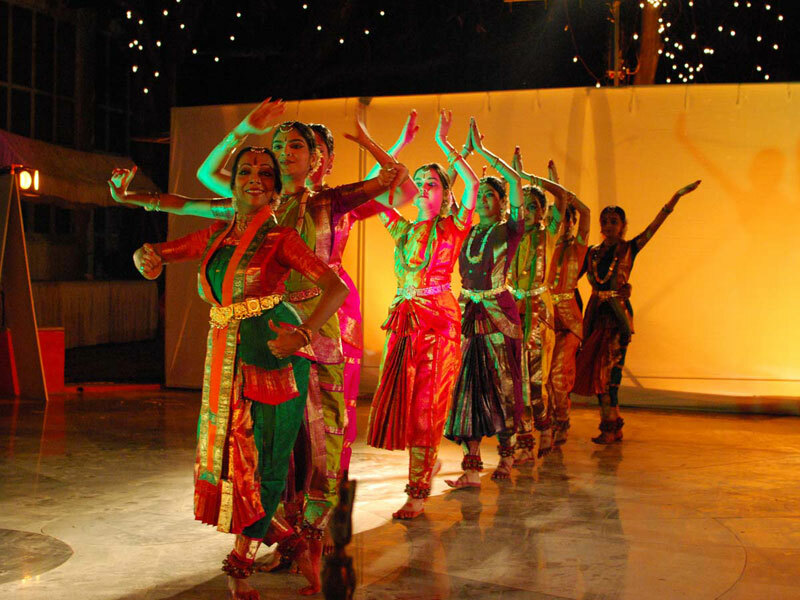 Bharatanatyam is the oldest and most popular of India's classical dance styles. It is widely performed in the South of India and said to be originated in Thanjavoor of Tamil Nadu. 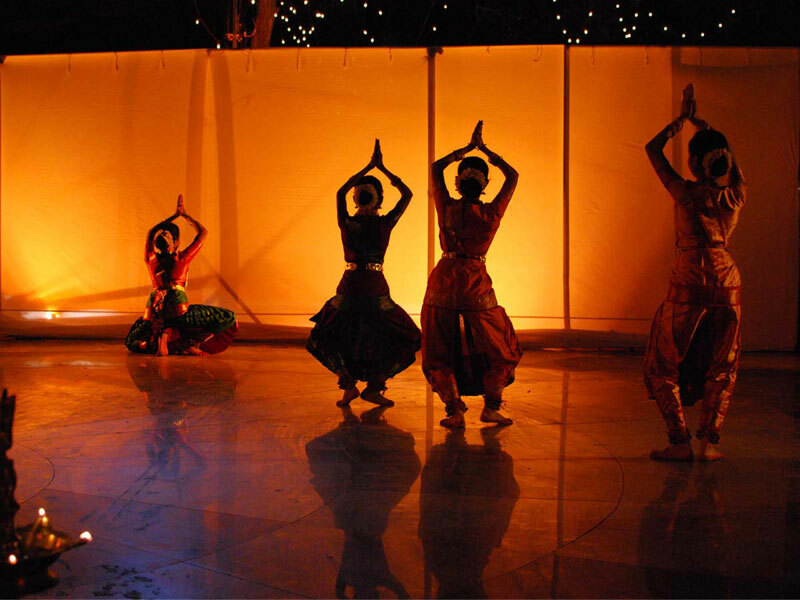 Bharatanatyam was born in temples as an offering to Gods. 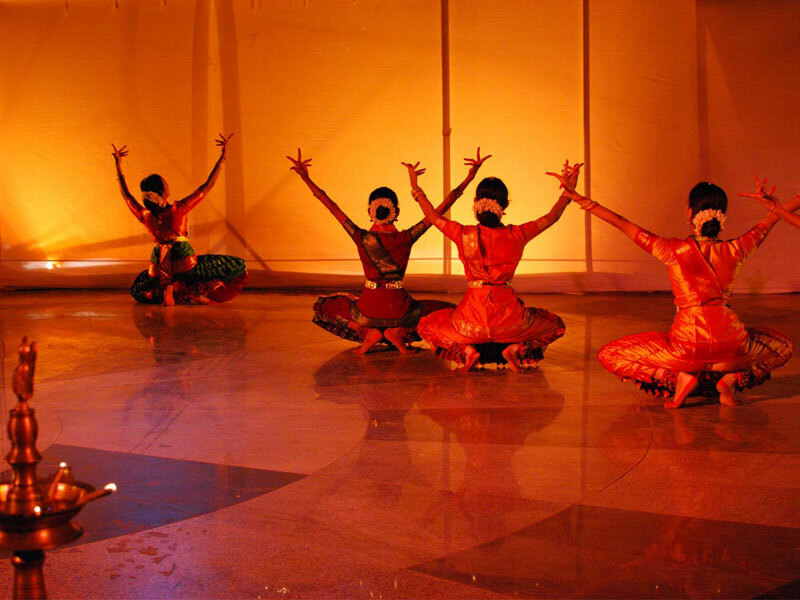 In style and substance, Bharatanatyam reigns supreme for the preciseness and perfection of movements.